Chicago vs. New York City: Which city is better? When the subject of the world’s greatest cities comes up, Chicago and New York City are almost always at the top of the list. Boasting of numerous accomplishments in trade, industry and commerce as well as culture and the arts, both cities are truly world-class. Let's see what makes them so from a few different aspects. One of the things that Chicago is probably best known for is its architecture. Among the city’s most notable contributors in this regard are Frank Lloyd Wright, Daniel Burnham, and Louis H. Sullivan, among others, all of whom have left an indelible mark on the city’s architectural landscape. New York City is no slouch when it comes to architecture either, and it definitely has its share of notable man-made structures. The most famous of these are the Empire State Building, the Statue Of Liberty, and the Brooklyn Bridge. 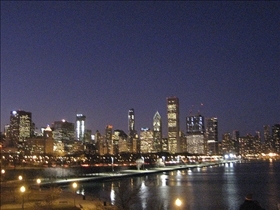 Chicagoans tend to be a bit friendlier than New Yorkers, and many are more likely to say “Please” and “Thank you”. Of course, people can be short and abrupt to the point of rudeness, but this is generally the case in any big city. In any case, Chicagoans are generally warmer and more accommodating than New Yorkers, perhaps as a way to offset the their infamous windy environment! 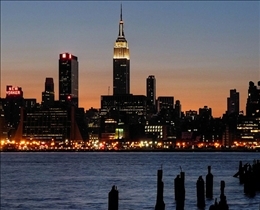 As for New York City, the taciturn and sometimes brusque mannerisms of its residents are well known around the world. That being said, this personality trait is often exaggerated, and many residents can be warm and accommodating in their own way underneath an initial gruffness. Now we come to the meat–and cheese–of the matter. Both cities of course take pride in having the best pizza on the planet, and we have to say that each is deserving of this honor. Chicago is known all over the world for the deep-dish pizza, and numerous restaurants, pizza stands and cafes in the city will only be too glad to convince you of its supremacy over New York pizzas. One particular place that stands out is Giordano's on Jackson Boulevard. You may have to wait a bit before being seated, but it is definitely worth it. New York City for its part goes the opposite route and tends to feature pizza so thin that you have to fold it in half to take a substantial bite. Thin they may be but the pizzas in the city are definitely not lacking in flavor. One good place to indulge is Patsy's Pizzeria on west 23rd Street, which offers charcoal oven baked pizza that is a nice and crunchy treat for less than $2 a slice. Chicago is awesome, I have been to it and it's real enjoyable. Kinda cold in winter though.